Lady Harvatine: Done and done. 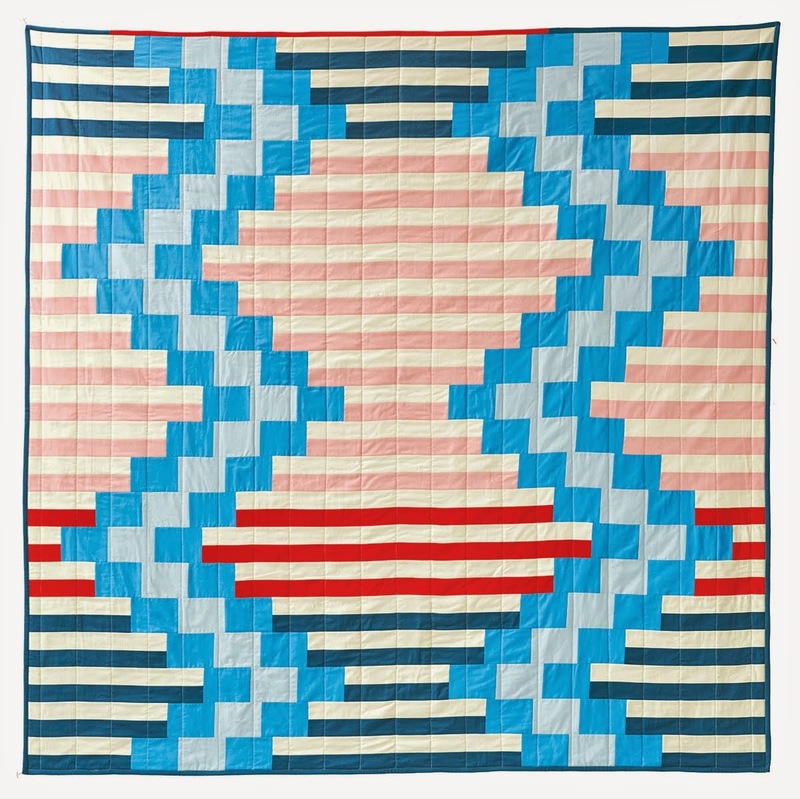 A quilt for someone. I can't say who just yet. It has actually been done for almost a week but I didn't take pictures of it until today. Now I need to get myself to FedEx and ship this baby off. 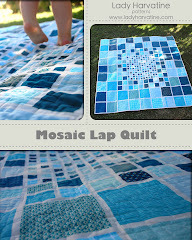 As I mentioned before, this quilt was inspired by this design on the Denyse Schmidt website. The design takes full advantage of the two things I love most about DSQ: #1, irregularity and the appearance of randomness in shapes and placement and #2, the use of a neutral color as a background as opposed to an all over design. And now that I'm on the subject I've thought of another: #3, choosing a very high percentage of solid fabrics over patterned ones. I really love the clean, modern look that you can achieve this way. It makes the design really prominent and also makes the few patterns that you do use really stand out. 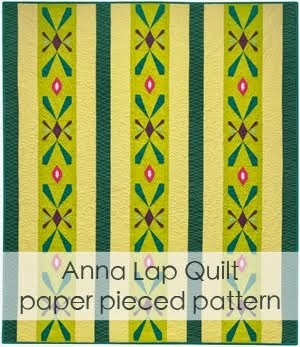 For this quilt I used all solids except for one plaid for some of the stripes and a flowered vintage-looking print for the backing. The design isn't totally random. I tried to work out how many stripes of each color I would need and in which widths and lengths to keep it somewhat balanced. I used the same number of each on either side and simply laid them out randomly on the floor along with white strips of different widths. I rearranged one or two stripes but was quite happy with my initial "random" layouts. Yesterday was my last day of work until Robot Chicken Season 3 starts up in 2 months and I plan to be sewing like crazy! I also hope to be more diligent about blogging all of my crafty endeavors. Next up: another Denyse Schmidt something for another secret someone! It really looks great! Such nice colors and I love everything about D.S. that you mention. 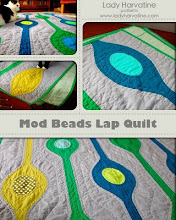 Great quilt and great pics! What a lovely quilt. Love the colors. I love this one so much. These may have to be the next one I try!